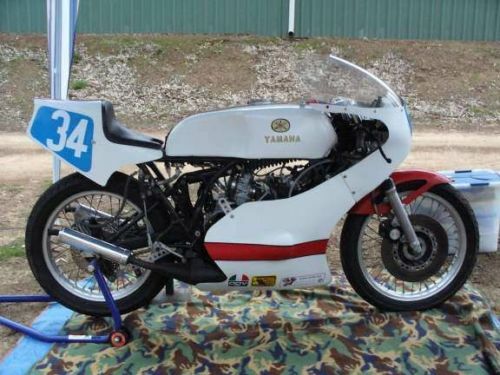 Although Yamaha’s TZ bikes had certain broad characteristics in common with their RD line, they were far more than just hotted-up versions of those bikes: they were pure racebikes designed for Grand Prix competition, and had no roadgoing direct equivalent. 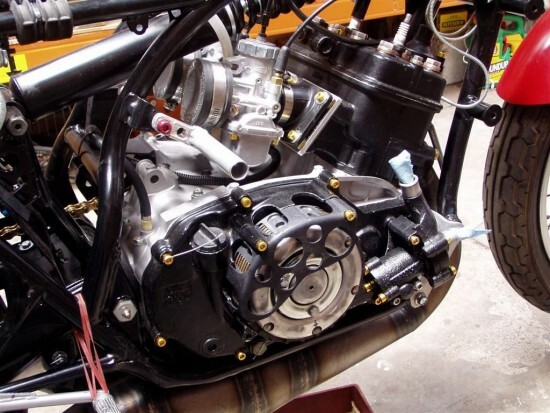 The introduction of water-cooling to the two-stroke twin in the TZ allowed for much higher outputs and, at a competitive price point, they were dominant when new. The bikes developed progressively from dual-shock “A” models to later, mono-shock “C” models and on through to “H” models, although some models featured more drastic changes than others. The “E” model featured here included an updated frame and other, relatively minor changes before the introduction of the more radically-revised “F” that followed. By now, many examples with campaign history include elements from different iterations: racers of the period wouldn’t have been a very sentimental bunch, and fitted their older mounts with whatever updates they could afford to keep their machines competitive in the ruthless grind of racing. 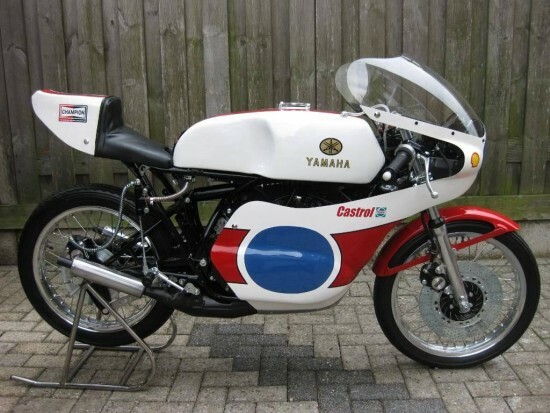 Yamaha TZ350 E is a beautiful and very fast light road race bike. Highly sought after by collectors and racers alike. Yamaha made a very small batch of road race bikes each year for sale through selected dealers and the demand was always greater than supply. 1978 was the last of this particular chassis shape and featured a few modifications over prior years. Fully rebuilt from the ground up to go racing in the 350cc Forgotten Era P5 class in Australia, F500 AHRMA and similar classes with other race organizations. New pistons, gaskets, seals, rebuilt crankshaft, OEM six speed close ratio transmission with air cooled clutch and self generating Motoplat ignition (mag). It has not been run since the rebuild. It does come with a few spares, a drum of 100 Octane race fuel and an Accu-Mix jug to get the right fuel to oil ratio. Upgraded front forks with later model damper rods and Gold Valve Emulators. This is an excellent example of this model water cooled Yamaha production road race bikes. Aluminum tank with high flow petrol tap and stock or later model fiberglass race seat. Scitsu electric tachometer and Daytona digital temperature gauge comprise the instrumentation. No digital dashboards back in the day. This is a race bike built for the race track but would look at home in any private collection of period race bikes. 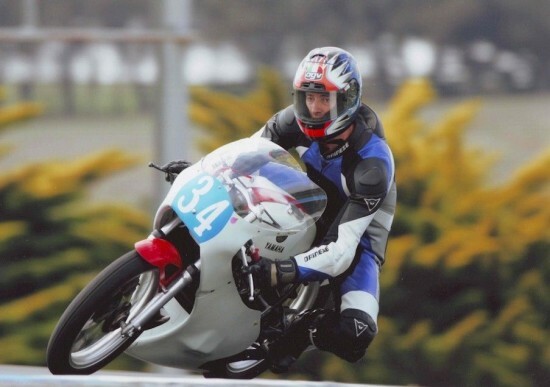 My son raced this bike for a few years with a later model fairing and TZ750A reed valve top end (available separately). It is being rebuilt with stock 1978 fairing and pipes and the correct piston ported cylinders. The cylinder head is in the shop being machined to as-new condition and if the bores on the 350 barrels are less than perfect, a set of NOS 350 barrels and pistons will be fitted. Most of the pictures are as it was raced and the last one is a borrowed picture, but that is basically how it will look before it leaves the shop. It comes with a few race spares including 250 and 350cc barrels. It will have the original OEM fairing with alloy belly pan as shown in the sample picture. I think I have a spare original belly pan somewhere too. Vintage roadracing bikes are a bit of a strange breed. When new, owners would have been riders looking for a speed-fix, and bikes would have been modified in any way possible to eke out a few extra horses to punch harder out of corners, or squeeze out a few more mph on the straights, originality be damned. 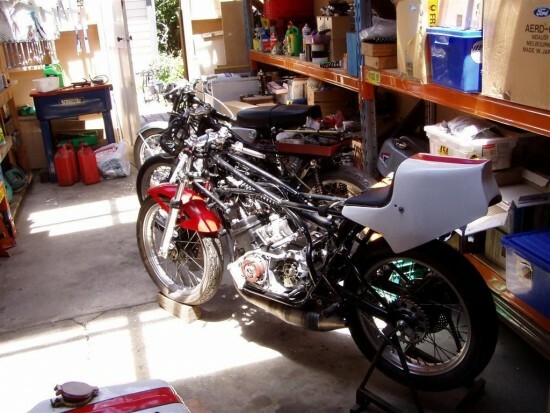 But the collector market seems to prize perfectly preserved machines above all else, although obviously racing history and period modifications are acceptable and even desirable, depending on the bike in question. Bidding is only up to around $2,200 right now, with what seems to be a reasonable reserve set at $10,000. I’d prefer a few more pictures, but the description suggests a well-maintained bike in great, appropriately updated condition. ” racers of the period wouldn’t have been a very sentimental bunch, and fitted their older mounts with whatever updates they could afford to keep their machines competitive in the ruthless grind of racing” “.When new, owners would have been riders looking for a speed-fix, and bikes would have been modified in any way possible to eke out a few extra horses to punch harder out of corners, or squeeze out a few more mph on the straights, originality be damned.” So very true. As I remember the TZ’s were generally the most modified and “hacked up” bikes in the pits. They led a hard life from the start and most were on their 3rd or 4th owner by the early ’80;s. Those owners were usually racing on a”shoe-string” budget. It’s the same thing today: guys [and girls!] from all walks of life want to go fast, and when money is tight, originality and aesthetics go right out the window. At trackdays, for every shiny Panigale or S1000RR, there are a twenty ratty-old GSX-R’s or R6’s with bare white fairings and dented tanks. Part of me recoils in horror, part of me grins like a shark, knowing that’s what these things were really designed to do. Purists can love their exotics all they want, but there’s something pure about the romantic and dangerous pursuit of speed juxtaposed with the pragmatic choice of a motorcycle that can easily be repaired: break your Aprilia’s gear lever, you might be done for the day. Lowside your Gixxer? You can probably mooch rearsets, clipons, and levers from random people in the pits and get yourself back out on track.